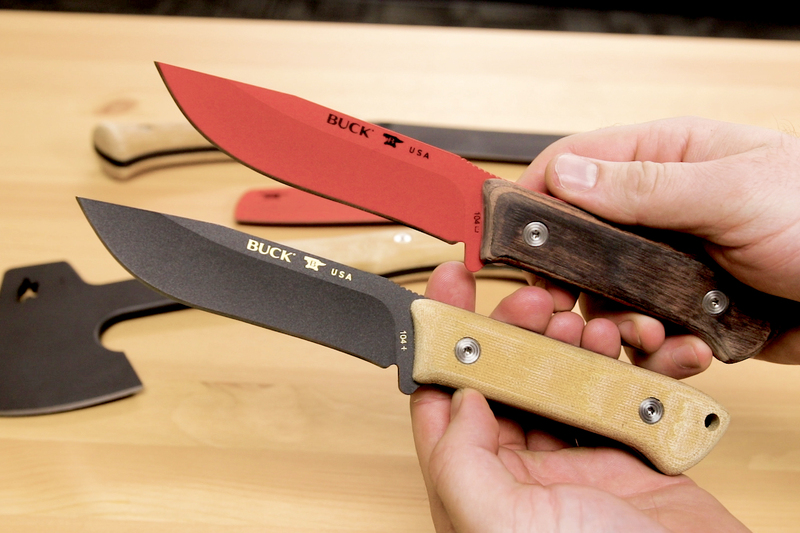 To create the Compadre Chopping Froe, Buck took inspiration from the classic splitting froe, a tool that was used to create shakes and shingles. A typical splitting froe would actually have a handle coming up vertically at a 90-degree angle to the blade. 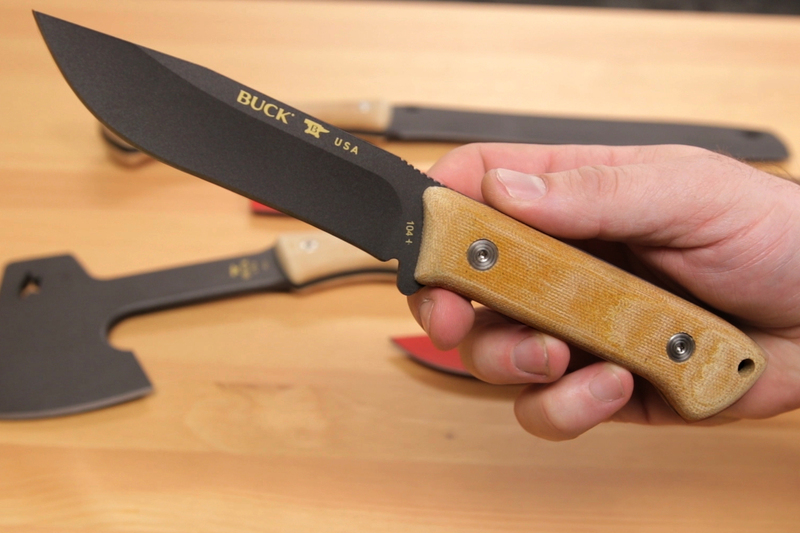 To create this chopping version, Buck has given us an extra long handle running perpendicular to the blade, granting a lot of leverage and turning the froe into a powerhouse. With blade stock about 1/4 inch thick and a stout bevel, you’d be hard-pressed to damage this blade but you could certainly deal a lot of damage with it. Thanks to that handle design we’re able to choke back very effectively as there’s a nice swell at the back that will capture your hand and keep it from slipping backward. It allows you to maintain a confident grip and really make the wood chips fly! If you want to transition to smaller tasks you can actually choke up and get a little closer behind the edge. It’s still going to be pretty blade heavy, but it will allow you to have better control when you need to do those smaller cuts. 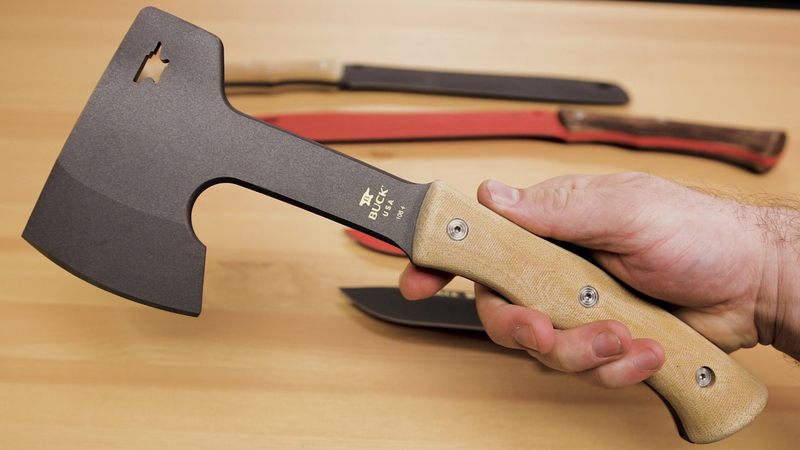 The Compadre Axe is also a very effective chopping tool. The handle design is the exact same as the handle on the froe, and that’s great because it really works very well. Another advantage of that micarta construction is that you get a little bit more texture than you do with the Dymondwood versions, and also if it happens to get wet, it will feel even grippier. Moving on to the head, this is a design with about a three-inch blade that will be a great tool whether you’re making kindling, splitting wood, or even on your next hunting trip. There’s not much of a poll on the end although you probably still could use it for hammering tasks like pounding in a tent stake. All of the corners of the steel up above the handle are actually fully rounded over, which means even though there’s not a full grip, it’s still going to be fairly comfortable if you need to choke up right behind the edge and do some smaller tasks. 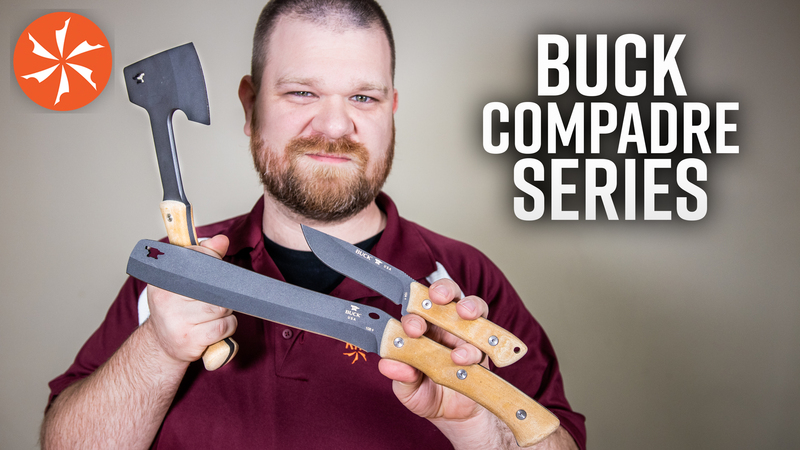 The larger tools in this series are of course excellent choppers, but you’ll want something smaller to pair with them. That’s where the Compadre Camp Knife comes in. This belt knife is a versatile pattern that will acquit itself well in just about any outdoor scenario you could ever think of throwing at it. The blade is about four and a half inches long and it still features that tough 5160 steel. We’ve got a hollow grind and plenty of belly on this knife which is appropriate for a Buck. Their hunting tradition certainly shines through but it’s a shape that will do more than just hunt. While slightly above the centerline, it’s still easy to take advantage of the tip if you need to do any kind of bushcraft stuff like drilling holes. 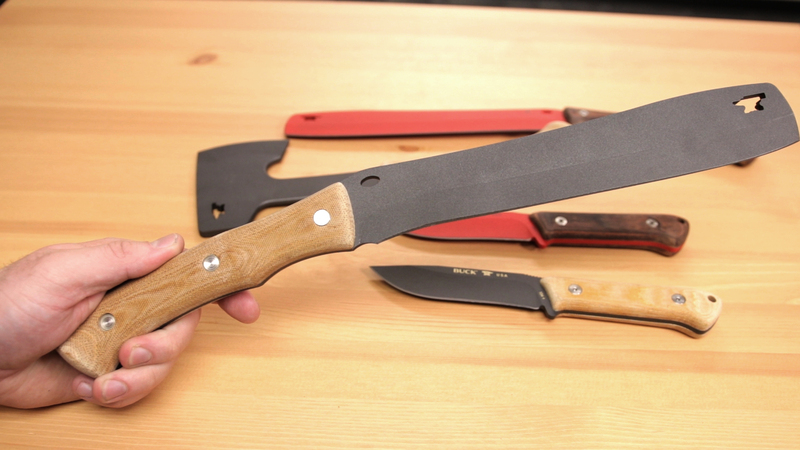 I also think that the Compadre Camp Knife is a great option for a survival knife. Although many survivalists might prefer a flat grind for a little more strength, that 5160 steel has plenty of toughness to keep your mind at ease, and it is compact enough to always have with you. The handle itself, even though it looks fairly straight, is very comfortable. All the shoulders are rounded over nicely with no hot spots in my hands, and we still get a nice swell at the pommel. It isn’t as dramatic as on the larger tools, but it will work very well on any type of cut where you are drawing the knife back towards your body. On the opposite side of the handle, we even get a small finger guard at the front which will help protect your fingers from slipping forward. All told, the Compadre Camp Knife features a very secure and comfortable grip. Shop All Camping & Outdoor Knives, Tools and Accessories Here.